chemical processing, from raw materials to blending to the end product. 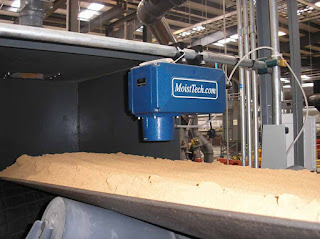 NIR moisture measurement is widely used for raw material testing, quality control and process monitoring due the instant and non–contact measurements. With the help of industry partners and 30 years of knowledge, MoistTech has thousands of installations worldwide in chemical applications. We offer both online for the continuous readings of NIR moisture measurement and laboratory NIR moisture sensors for spot tests near lines or in your quality control labs. 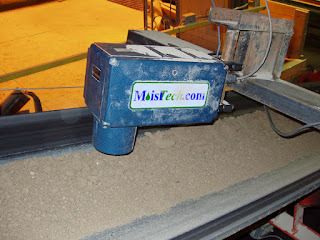 During the blending and mixing, processors are constantly adjusting moisture to maintain the quality of their product. Small variations and excess moisture in mixes can result in clumping affecting quality and consistencies. or out sourced, MoistTech’s NIR moisture sensors are easy to set–up and use which will provide instant and precise measurements due to no constituent losses in handling. Additionally, instant measurements provide manufacturers savings in analysis cost, delivering times and shipping costs.